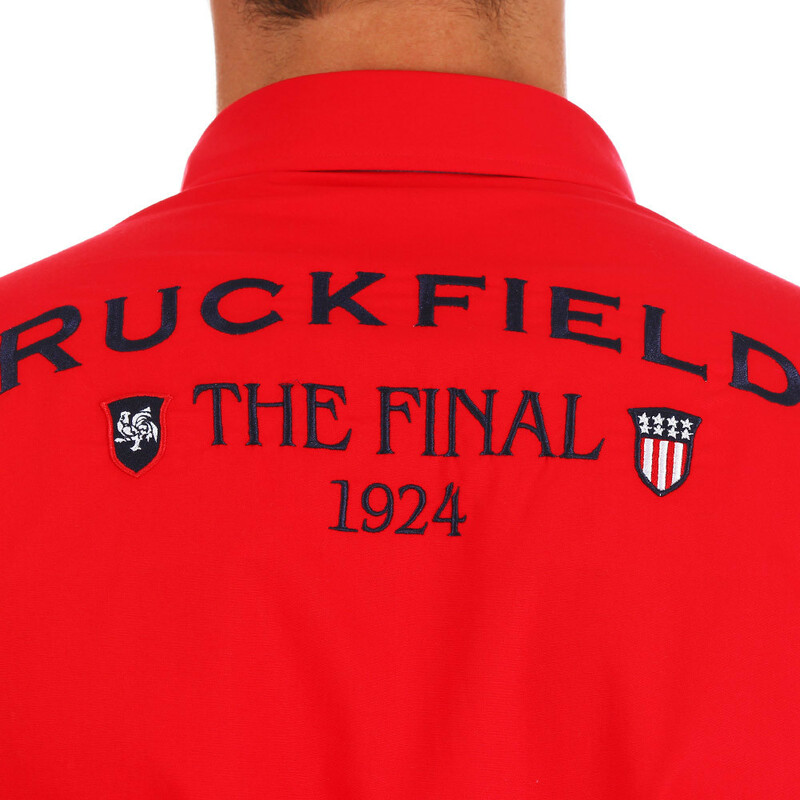 Back and front, this short-sleeved red cotton shirt marked with \"The Final 1924\"" follows the codes of vintage rugby, always on-trend. 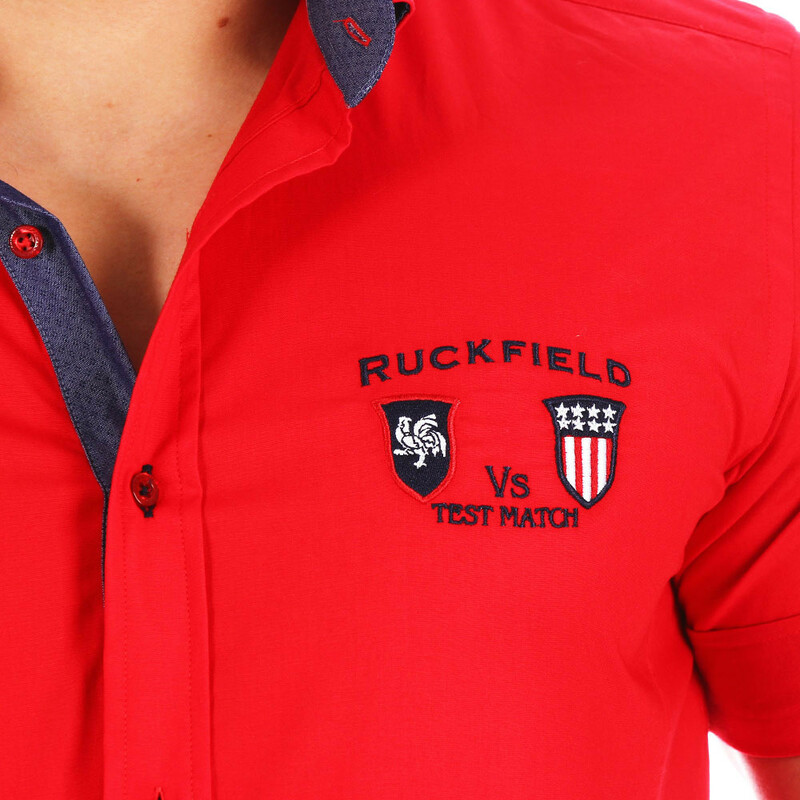 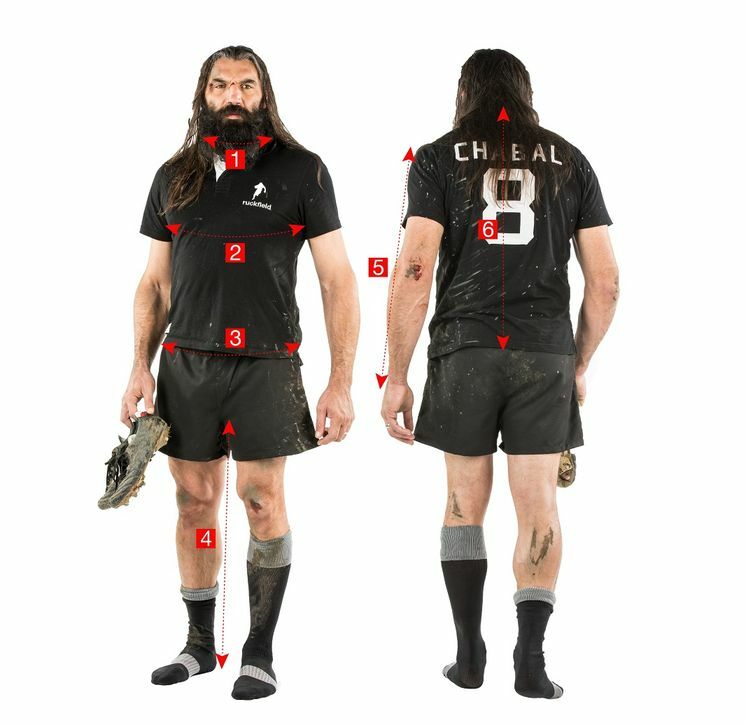 With large embroidery on the back and chest and contrasting button tab, the Ruckfield Test Match shirt is the perfect piece to enhance your look. 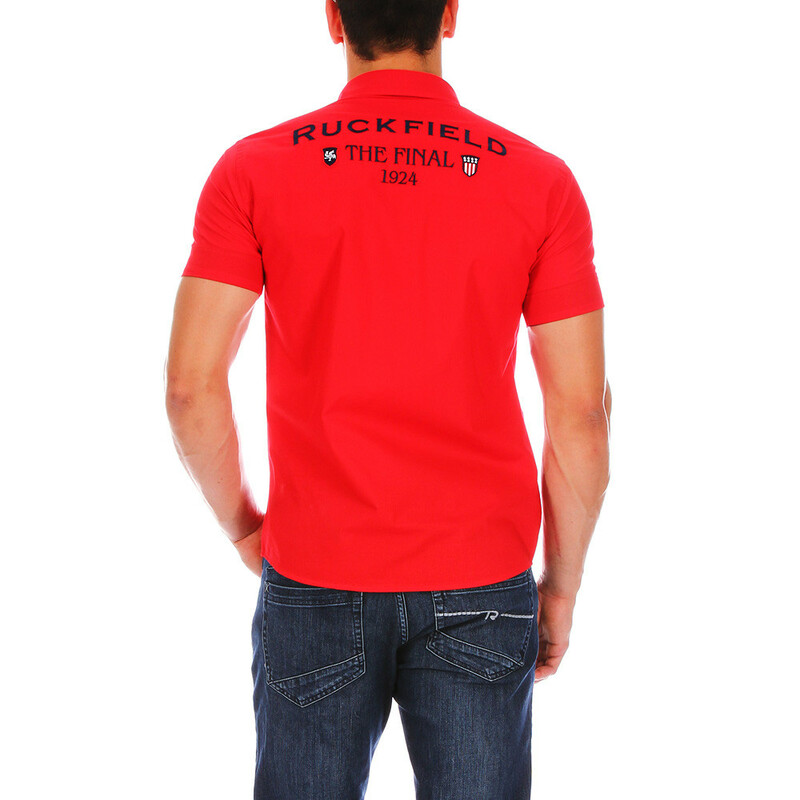 Available in large sizes up to 5XL. 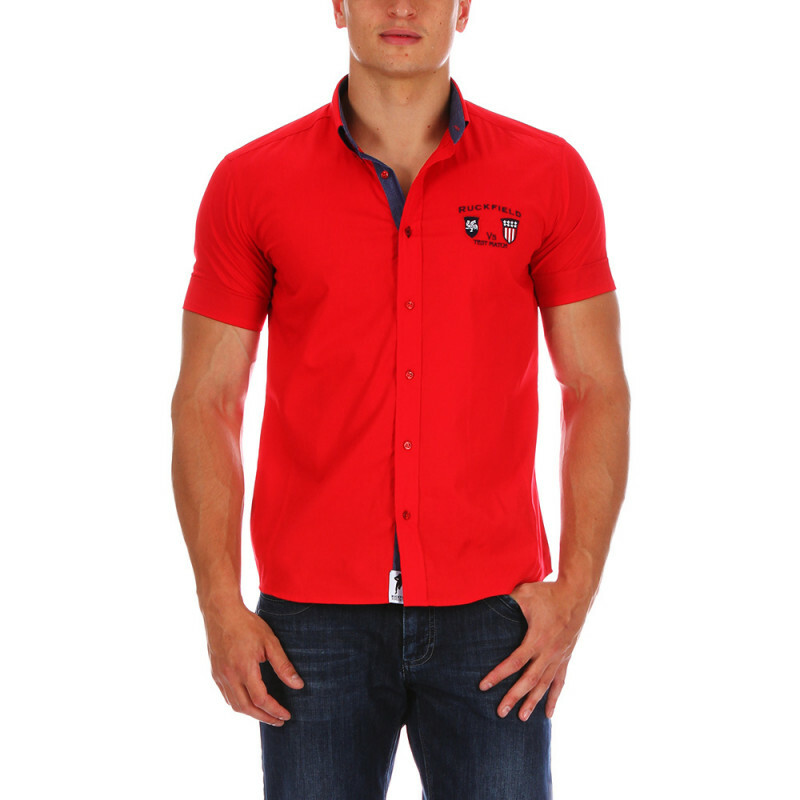 Our model is 5'10\"" (1m82) and is wearing a large."